Welcome to Pell City, Alabama. Starting July 25, 2006, I will not be posting, or even trying to post on a daily basis. PC is a great place, and I don't want to quit altogether. Instead, I'll just try to improve the quality of the site and I'll try to post when I have a good picture or story to tell. Thank you so very much for the encouragement and kind remarks you have given me. 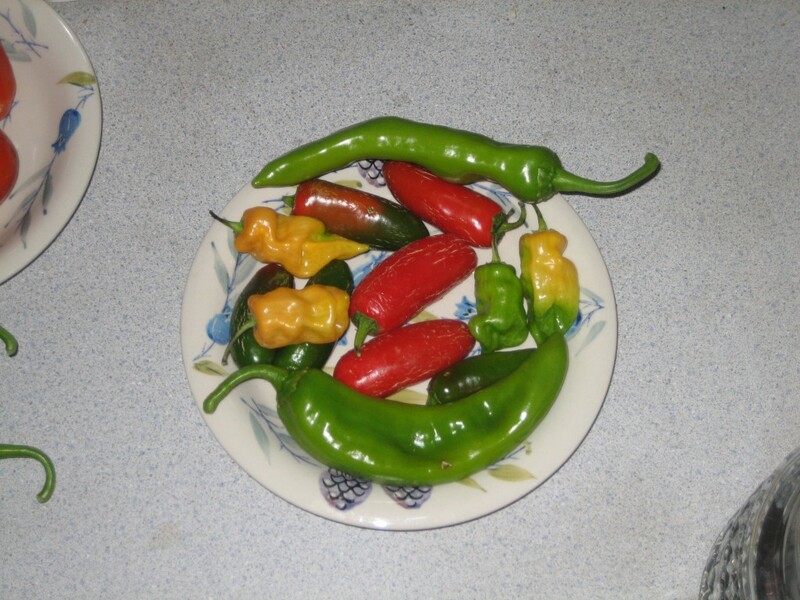 A favorite crop for many gardeners, peppers come in a variety of sizes and colors. Here we have chili peppers, jalepeños and habañeros. I live in Pell City, Alabama, USA. One day I saw this site parisdailyphoto and the suggestion to display my own town. Thanks Eric, for the idea.